Conducting an audit of existing assets and operational program design costs. Analyzing current hauling and vendor charges, reviewing the effectiveness of existing physical assets, and looking for cost saving and/or increased revenues in current recycling programs is where our team begins to create a “cost justification” for program change. Conduct cost analyses of possible equipment upgrades and modernizing of existing facilities for comparisons to current budgets. Present a feasibility study that will include recommendations, cost-benefit analysis, return on investment (ROI) timelines, environmental mandate compliance, and program implementation details. 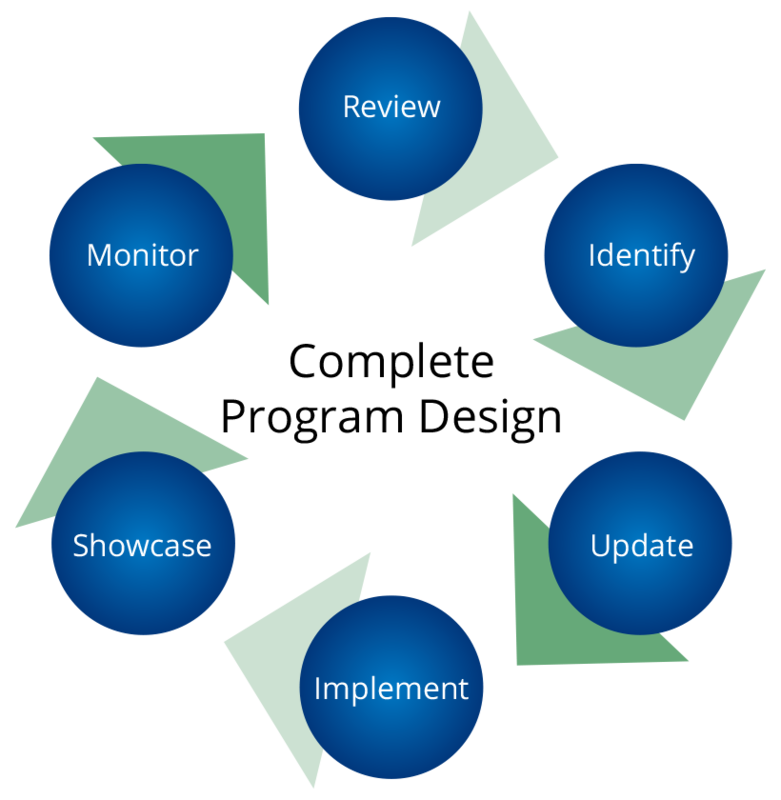 Provide equipment recommendations, guidance for implementation and future program monitoring outlines to allow for design adjustments and ensure long-term program success. Provide a specific plan that has been developed to monitor and review the on-going effectiveness of newly implemented programs while allowing for operational adjustments as environmental mandates continue to increase to ensure compliance into the future. Let the experts at EDS help you create a complete sustainability plan that includes all of your equipment needs and the guidance necessary for implementation! The EDS Complete Program Design process represents the new way intelligent decisions are made about sustainability programs and economically viable equipment purchases are made. Using the by-products from our drying plants and flash pyrolysis systems to create proprietary soil amendments that reduce the use of irrigation and chemical fertilizers.